One of our other major issues in Canada were the USB ports. 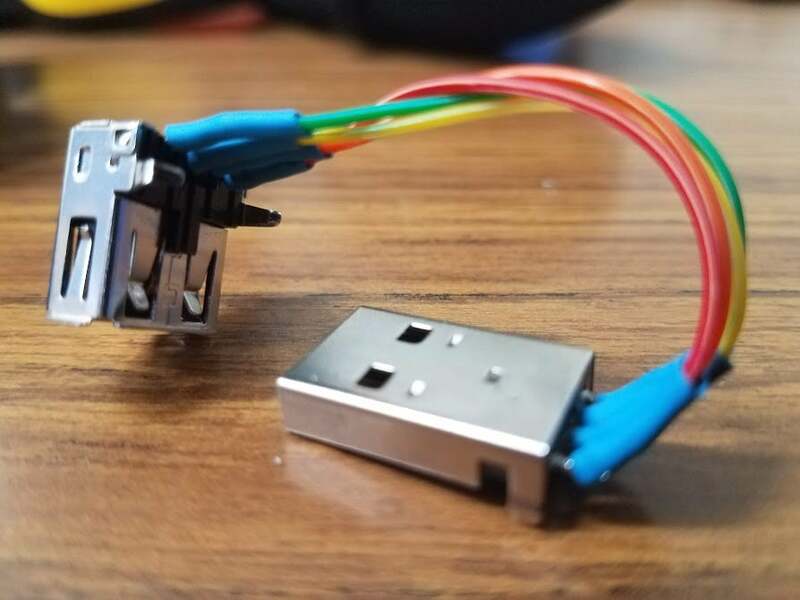 Due to the small size of our robot, we needed to have right angle USB port extensions. These would plug into the robot and allow us to plug in the USB2AX device and cameras. The USB thing we had used. So we needed a better solution. One that wouldn’t break so easily. I had the idea of making a custom PCB board, that had a male and female USB connector. It would plug into the board and route the port to a more accessible location. I spoke with Graham about it, he had helped us design the other PCB board, for the Arduino sensors. And so we sat down and designed the board. It only took a few minutes, it was a very simple board. Then we ordered it. As always, we’ll release the EAGLE files, assuming the board actually fits and works, who knows, with our luck?